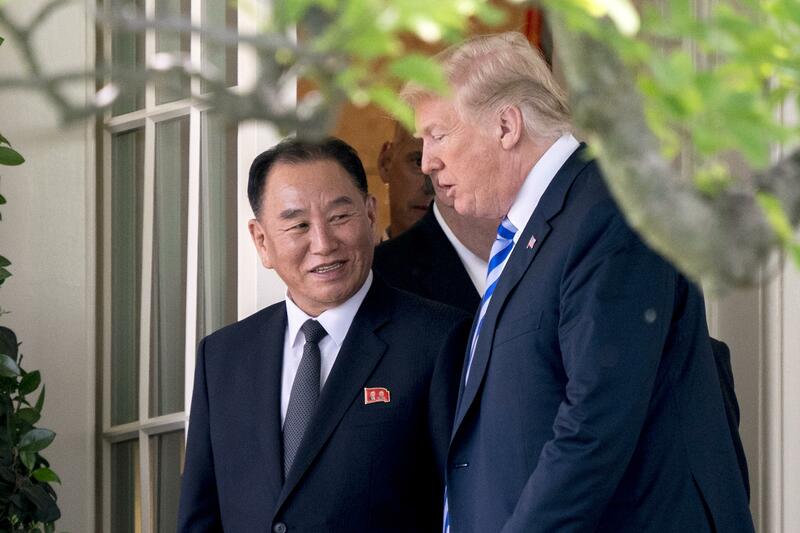 Mon., June 4, 2018, 12:53 p.m.
WASHINGTON – Barreling toward a historic summit with North Korea’s Kim Jong Un, President Donald Trump has his sights set on a nuclear deal, leaving allies and advocates worried that he may give short shrift to human rights abuses and regional security concerns. Senate Democrats on Monday released a letter to the Trump administration outlining the parameters of what they believe constitutes a satisfactory agreement – including a call for a permanent end to the North’s nuclear, chemical and biological programs, a suspension of ballistic tests, and anytime-anywhere inspections. Published: June 4, 2018, 12:53 p.m. Tags: Kim, North Korea, summit, Trump, U.S.